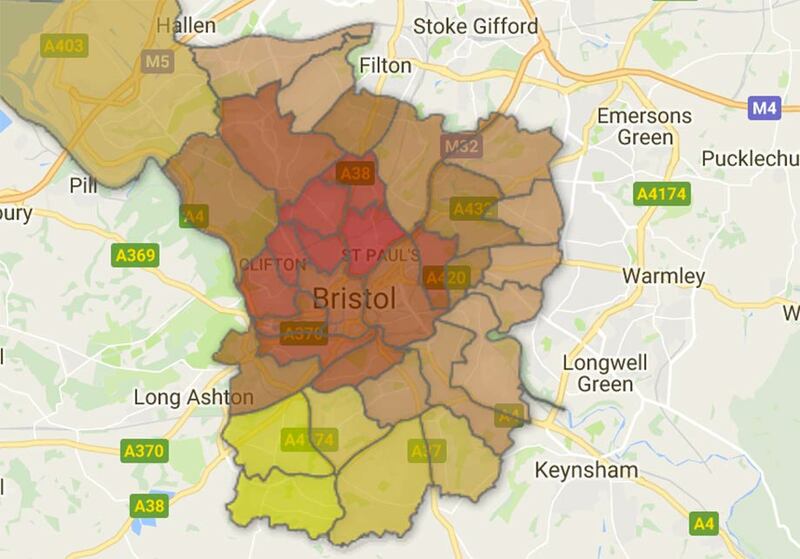 Bristol strongly supported Remain but not all of its component parts did. Ward-level data reveals who voted for what, why, and thus how we might move forward as a community. Figure 1 How Bristol voted in the EU referendum, ward by ward, with a high Remain vote in red and a low Remain vote in yellow. The original interactive map can be found on Bristol247.com who kindly gave us permission to use this image. At odds with much of England, the City of Bristol voted overwhelmingly for Remain in the EU referendum, with 62% as opposed to 38% for Leave. Hundreds marched through the centre of Bristol to show their dismay the day after the referendum result. At the same time, recently available ward level data indicates the outer areas of Bristol including Bishopsworth, Hartcliffe and Hengrove were majority Leave. Just as a picture of a deeply divided country emerged on 24 June 2016, can we understand Bristol as a microcosm of modern Britain? And what exactly does it mean to vote Leave in a city which was enthusiastically Remain? What will Brexit mean for the future of European student mobility? The UK government’s stance on immigration will likely cost British students their access to Erasmus+. How will UK universities keep their students thinking globally post-Brexit? As Brexit negotiations gather momentum, the time has arrived when we must consider how we can successfully navigate the next two years. The UK must think about how we will fill the Brussels shaped void, the implications of which will soon start to become clear. It’s a void that will loom large in my professional life as my colleagues and I consider the future of European student mobility without the Erasmus+ programme. If the results of the referendum caught us by surprise, I’m determined that we will be prepared for any outcome that the negotiations deliver. And, moreover, that along with other stakeholders, we take an active role in helping fill that void and shape it into something that can be a worthy successor to Erasmus. 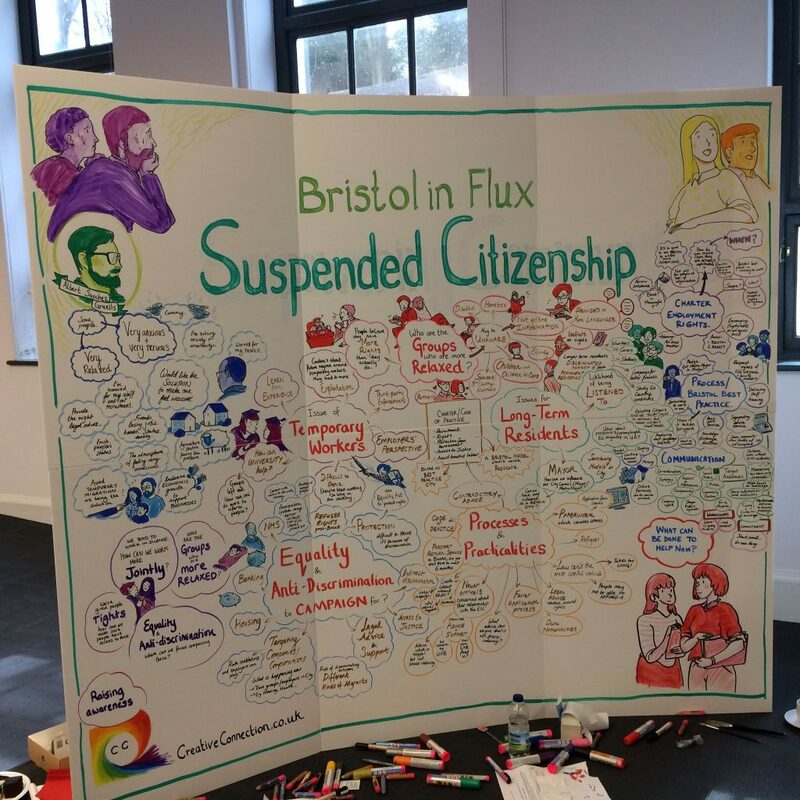 I was recently invited to take part in an excellent workshop “Projecting Bristol and Britain to a Post-Brexit World” organised by Dr Nieves Perez-Solorzano and Professor Michelle Cini from the University of Bristol. This was a good opportunity to start thinking about how we can proactively participate in Brexit discussions and this short piece considers some of those ideas with regards to international student mobility. Bristol’s creative industries give the city a strong starting point for taking the city global post-Brexit. But it will need support to succeed. Brexit is framed as both a threat and an opportunity – the loss of the EU market and the free flow of talent against the chance to work across the whole world. The creative industries already work globally – our music, films, TV, design and digital products and services are renowned. We also benefit from the free flow of talent – up to 50% EU citizens in sectors like visual effects – and investment from European cultural programmes. And, of course, Europe is a huge market and English remains the key language of the industry. 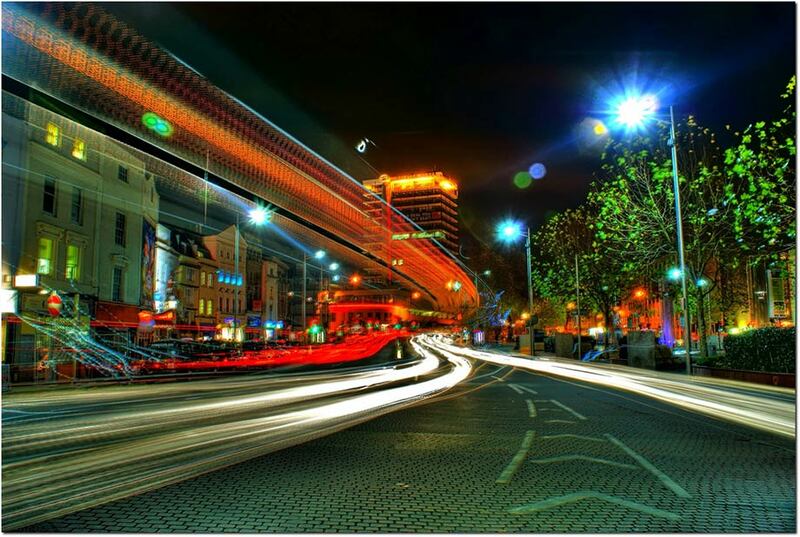 Combined with the devolution of powers within the UK, this has created a matrix of changes which all reinforce one thing – we’re heading for “the City and the World”. As a biologist with 30 years experience in factual TV, this resonates with basic ecology, which I believe provides the philosophy to deal with complexity and develop the right response to the coming change. Creativity is a very human industry, in production and consumption. The energy within the ecosystem comes from individuals with talent, and there are skills shortages. We need to be able to draw on a wide range of talent, and ensure the Tier 2 visa arrangement aligns to needs – currently they are too restrictive in the definition of ability and salary level required. The industry exists predominantly as a collection of microbusinesses, and we do not have the capacity to sponsor individuals in visa applications. The British Home Office has created a bureaucratic nightmare for EU citizens applying for permanent residency. Might there be a better way forward? According to official figures there are over three million non-UK EU citizens living in the United Kingdom, many of which live in Bristol. 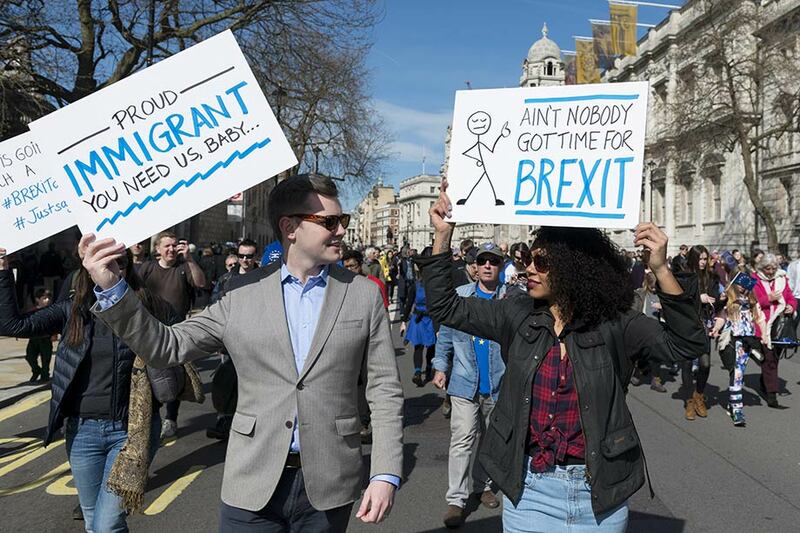 Following the referendum of 23 June 2016 and the notification by the UK government to withdraw from the European Union many of those citizens are naturally feeling anxious about Brexit and the future of their rights in this country. What will happen to them once the UK leaves the EU is still unclear. In the Guidelines Following the UK’s Notification under Article 50 TEU adopted on 29 April 2017, the EU 27 recognise that “the United Kingdom’s decision to leave the Union creates significant uncertainties that have the potential to cause disruption”, notably for “[c]itizens who have built their lives on the basis of rights flowing from the British membership of the EU [and] face the prospect of losing those rights”. Clarifying the status of EU citizens could have been done unilaterally by the British government. It chose not to, however, arguing that the status of UK nationals in EU states also needed to be addressed and reciprocal rights offered. Although the issue was raised in parliament during the debate over the European Union (Notification of Withdrawal) Bill legal uncertainty remains. The European Union has on several occasions stressed that finding a solution to this issue was paramount and needed to be tackled at an early stage of the Brexit negotiations. Indeed as stressed in paragraph eight of the EU 27’s guidelines, “[t]he right for every EU citizen, and of his or her family members, to live, to work or to study in any EU Member State is a fundamental aspect of the European Union”. How can we resist post-Brexit racism? What does one do when they feel their home turning against them? “It’s good to be back home” said one of my friends after we had come back from a two-week holiday abroad. I looked at her not knowing how to respond and just smiled reluctantly. Before Brexit I would have said it too without hesitation, having lived in the UK for over ten years. But I could not share my friend’s excitement. It was three months after the vote. A couple of days earlier, a Polish man had been killed in, what was believed to be, a hate crime attack. I found out about it from my parents who called me from Poland to check how I was doing and to ask if Bristol was a safe place for me to live. It was the first time they asked me this question since I moved to the UK in 2005. I couldn’t help but feel worried and upset upon my return rather than relieved and happy as my British friends did. Unfortunately, for me it was not so good to be back at not so home anymore. Business was never unified on its stance towards Brexit, and very few assessments have studied how it will affect local economies. 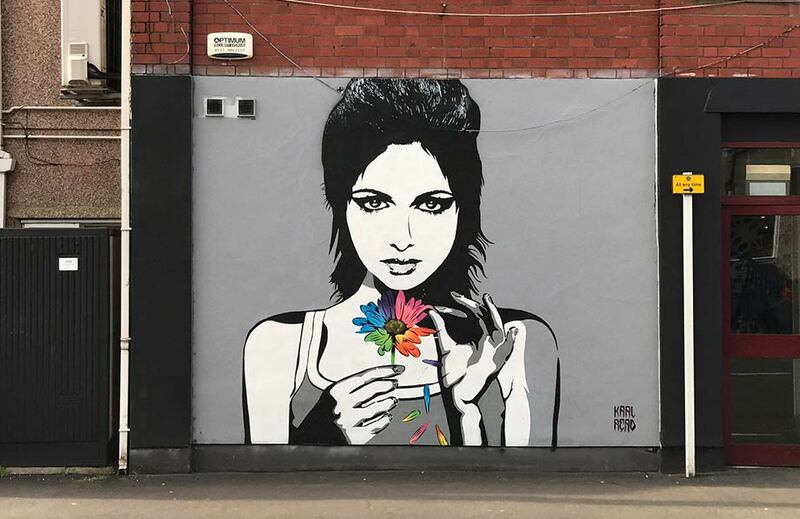 Might Bristol be the place to start? In the run-up to the Brexit referendum, there was a common assumption that business was strongly in the Remain camp. This suited the purposes of those determined to paint the issue as one of the elites versus the people. It was never an accurate portrayal of the situation. 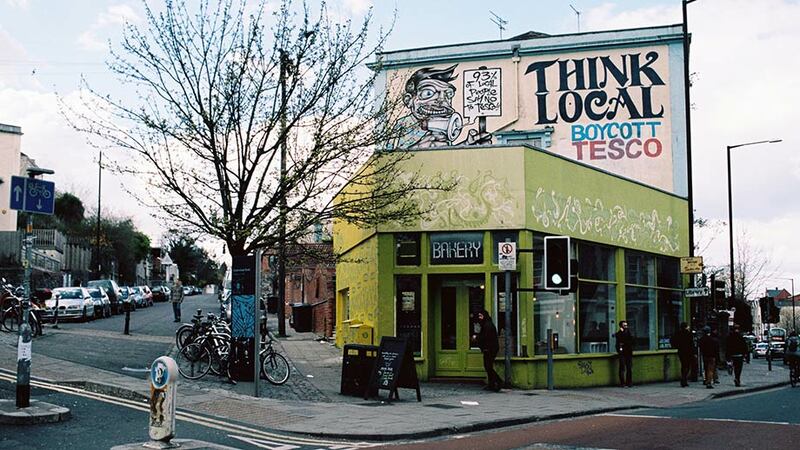 Instead, businesses tended to line up along the narrow lines of their commercial interests or to remain on the sidelines (as was the case with large retailers such as Tesco and Sainsburys). 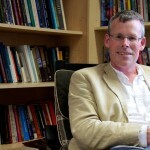 Jon Fox is a Senior Lecturer in the School of Sociology, Politics, and International Studies and the Assistant Director of the Study of Ethnicity and Citizenship at the University of Bristol. His research focusses on racism in relation to East European nationals living and working in the UK. He tweets @jonefox23. Uncertainty is plaguing the transition to a post-Brexit Britain. Cities can, and must, address it head on in ways that work best for them. The plot thickens. When Theresa May called a snap general election for 8 June she introduced the latest twist in the sordid Brexit tale that has been unravelling over the past year. The emerging plotline is peopled by a colourful cast of heroes and villains (though who fills which role is a matter of personal taste), teeming with intrigue and innuendo, and vacillating daily (or hourly) between tragedy and comedy.